After the unfortunate breakup of Grandfather Ridiculous, the three of us that were left knew that we had to do something in regards to recording a full length record. We just booked the studio and started tracking. We recorded some songs that we had worked out at home and also some stuff that we were playing with Mc’s Jubei and KB, whom Taylor was working with in a group called the Heart Foundation. Guitarist/keyboardist David Zucker, who was a friend of Nigel’s, came in from the west coast to play on the record. We also did some improv, and the two Mc’s ended up writing to a lot of those pieces. 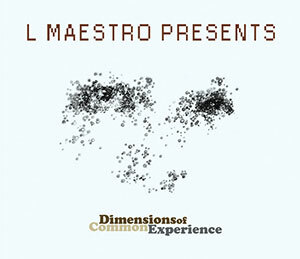 Songs were formed, this record was created, and L Maestro Presents spent a couple years touring throughout the northeast while frequenting hometown NYC venues, such as BB Kings, the Blue Note, and the Knitting Factory.